The Yukon is a unique place on earth, our last frontier. As locals we sometimes take it for granted, but Canada’s True North is as special as the Grand Canyon of Colorado, the Great Barrier Reef or the Himalayas. No where else on the planet will you see such pristine wilderness and a panoramic view of mountains and rivers. This is a land of rivers which moulded the country and its people. 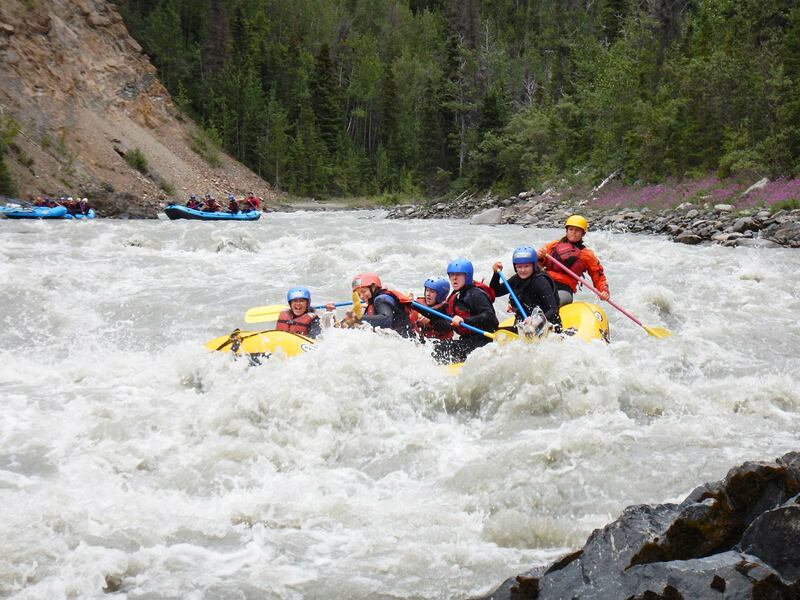 View our confirmed Pack Rafting Trips! One of the best whitewater day trip in the world! 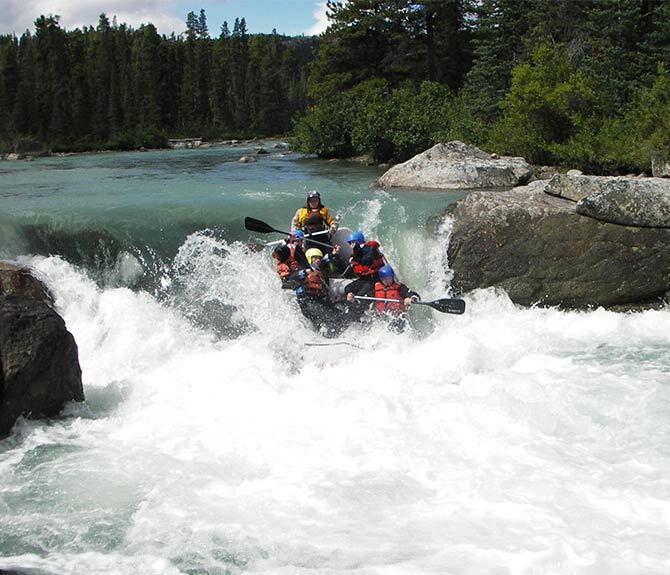 You will see some incredible scenery and maybe even surprise some wildlife but in the end most of what you will remember is the most incredible whitewater. The Tutshi is a small, technical river located on the scenic Skagway Road. The trip starts with a series of small lakes leading to the headwaters of the river. The gentle river quickly disappears, as does the horizon line and you enter the heart of the canyon. The Tutshi canyon is fast, generally grade III, with a grade IV drop known as the Nozzle, which we will scout. Below the canyon we will paddle a section known as “The Drops”, which is a series of grade IV and V rapids, with flat pools at the bottom. The Tutshi is one exciting ride, but it is not for everybody. It is hard to stop in the canyon, and “The Drops” are steep. There will be an option to walk all “The Drops” if you feel uncomfortable rafting them. see a grizzly roaming freely, a bald eagle soaring in the sky, rivers red of spawning salmon! catch a fish at every cast while watching a moose go by! stand on top of a mountain and not see another soul for hundreds of miles! Join us and we will show you the best the Yukon has to offer! 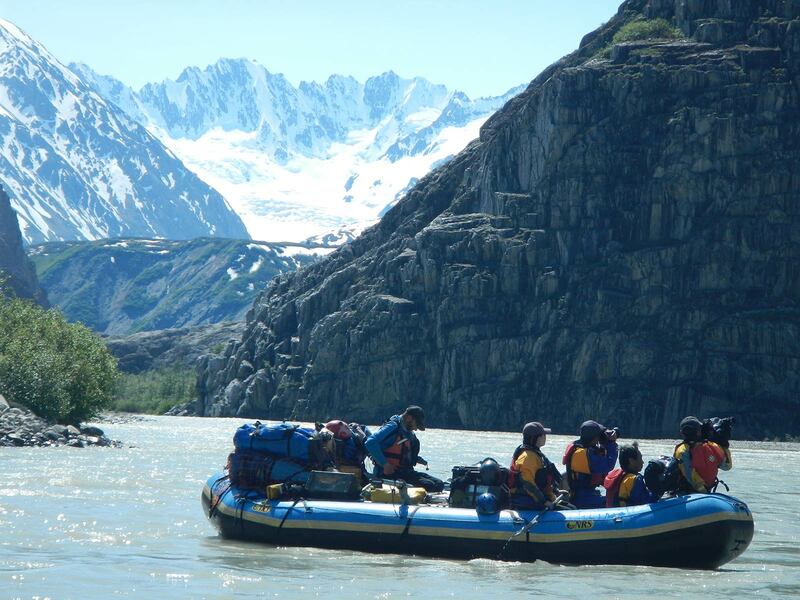 Including Yukon River Canoe Trips, Yukon Raft Tour, Yukon Whitewater Trips and Tatshenshini River Trips. Come on a Yukon River Adventure today!